Mike Rocha is the sales manager for Geeks on Site. Mike is very creative when it comes to new strategies and techniques that help sales grow without limits. 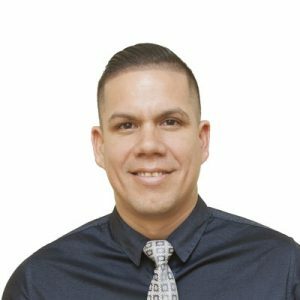 With 14 years of experience working in sales, Mike has achieved a lot of his goals based on the skills and instructional support he has been able to offer. Previous to joining Geeks on Site, Mike worked for financial institutions refinancing homes nationwide and working with banks and loan companies all over the US. Some of his business experience comes from working with companies such as Ameriquest, Wells Fargo, American Nationwide Financial, as well as others. For the past 7 years while working with Geeks, Mike has been an excellent mentor, with a cutting-edge vision for the business.